The controlled modification of superconductivity by any means is a long-standing issue in low-temperature physics. 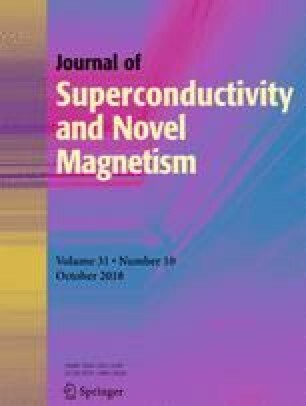 In this work, we present data on the control of the superconducting properties of conventional low critical-temperature (TC) Nb thin films with thickness (dNb) = 15 and 20 nm under application of reconfigurable strain, S induced by an external electric field, and Eex to a piezoelectric (PE) single crystal, namely (1 − x)Pb(Mg1/3Nb2/3)O3 − x PbTiO3 (PMN-PT) with x = 0.30–0.31. The experimental results (reduction of TC and critical current (JC) on the order of 6% and 90–100%, respectively) are nicely reproduced with a phenomenological model that incorporates the constitutive relation S(Eex) that describes the electro-mechanical response of the PE crystal to well-established formulas that describe TC and JC of the SC thin films. One of the authors (M.Z.) acknowledges the A.G. Leventis Foundation for support through a scholarship.